Design reflects the world around us. Visual trends are almost always linked to the economic and political changes taking place all around the globe. It affects more areas than we can imagine, from fashion to pop culture, music, graphic design, product design and so on. We’ve rounded up highlights from design authorities like Shutterstock or Pantone to give you a summary. Also, let’s see how brands and designers are already embracing these design trends in their communication strategies for 2019. And even Google knows we’re nostalgic about this decade. Why do I say that? Because in their 2018 Christmas campaign for Google Assistant, we see Macaulay Culkin being "home alone" again. Also, have you seen any FRIENDS t-shirts lately? Ugly big sneakers? It seems like it all started with the Pokemon Go hysteria. 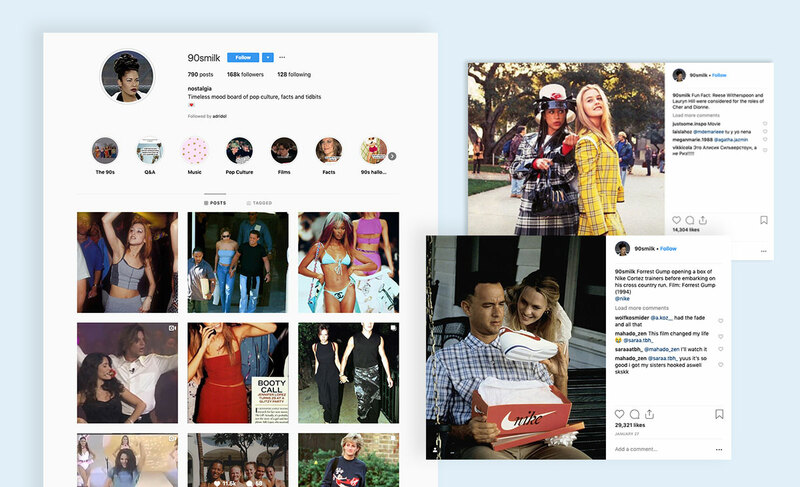 From 90s pop culture Instagram accounts to TV show-inspired merchandise and a lot of golden leopard skin, the 90s influence is here to stay as one of the biggest design trends of 2019—but with a modern twist. Again, whether we like it or not, we’ll probably see this design trend everywhere. You may not necessarily know what a zine is, but that’s okay because zines are in no way mainstream. An interesting fact is that zines have been around since the 70s and 80s when they were used to promote punk music in a time when this genre received little to no interest. 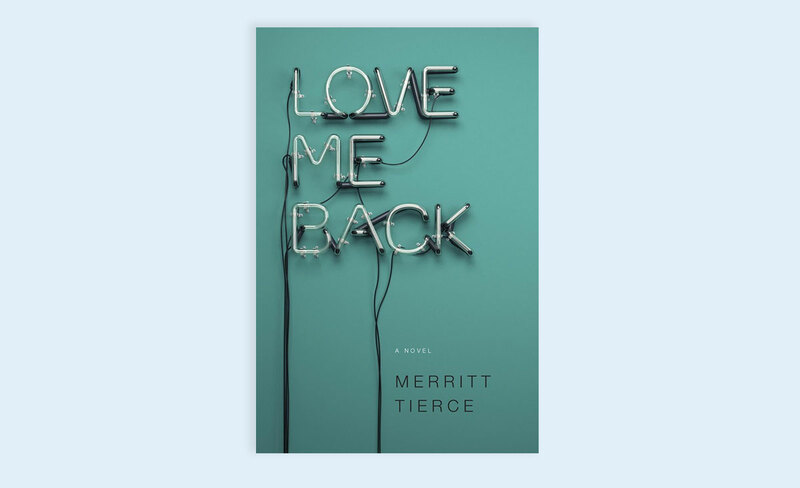 It’s a type of publication that can give anyone a space to express themselves. Zines are mainly associated with protests, movements and minority voices. Social movements like Black Lives Matter Portland launched a zine to express their work and beliefs. But as of recently, zines are making a modern-day comeback, mainly due to Millennials who are looking for new ways of expressing themselves. While zines clearly show that print is not dead, many modern-day zinesters are looking for ways to create and spread zines online. For example, people now share zines through Instagram accounts. Zines are a major design trend of 2019 because they facilitate personalized content. Whether you have some bold ideas or certain interests, there might be other people out there with the same interests as yours. Why not share your opinions with the entire world through a creative zine? Do you remember the famous photo of the tiny seahorse cradling a pink cotton bud in murky water? That was a major turning point that made an entire world realize the dangers of plastic waste. But it got even more serious when two Superbowl ads from 2017 were not about beer but about water. The desire to connect with nature and be more responsible is directly connected with consumer behavior. 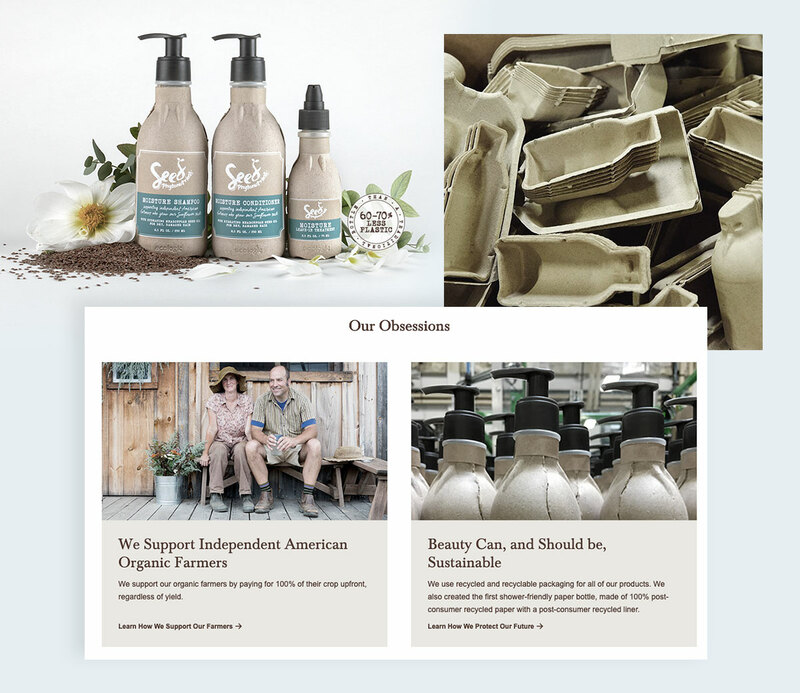 In 2019, more and more countries and brands are taking a public stand to be as eco-friendly as possible, so it makes total sense to include conscious consumerism as one of the top 10 design trends of 2019. 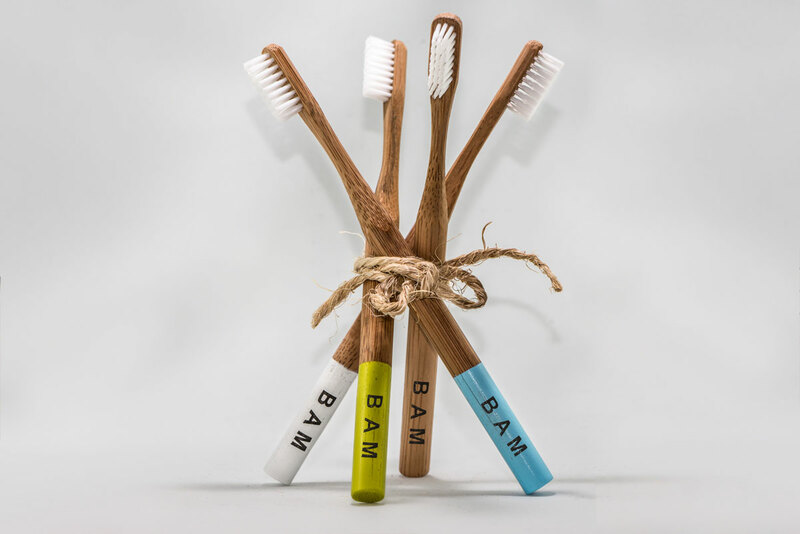 We’ll see more plastic alternatives than ever before, from reusable containers for ice cream or deodorant to bamboo toothbrushes and silver straws. Brands like Seed Phytonutrients, part of the L’oreal group, has already jumped on the recyclable packaging bandwagon. 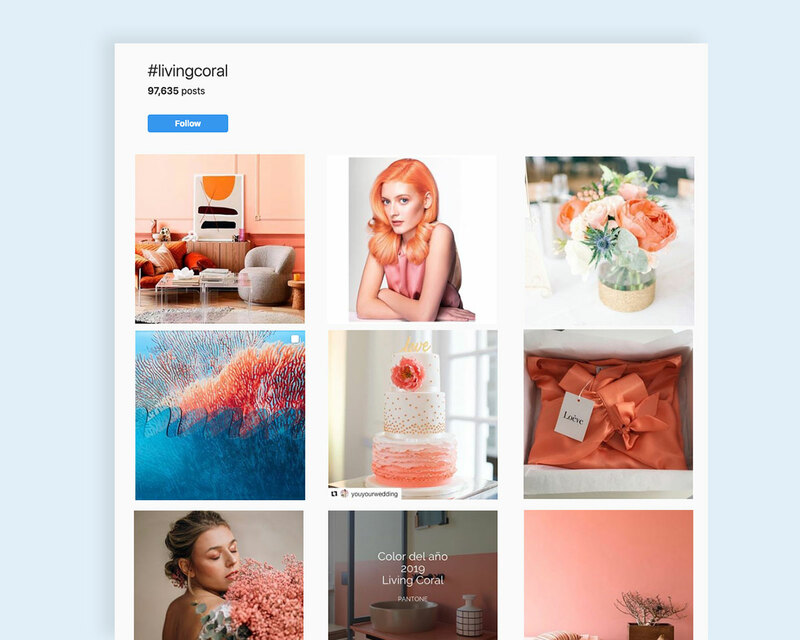 Directly linked with environmental responsibility, Pantone chose coral pink as 2019's Color of the Year. It’s the color of underwater reefs; a color that embodies a yearning to reconnect with nature. Are brands willing to let go of the Millennial pink that was seen everywhere these past few years? We might say that! Coral orange is being used in all kinds of products, from cosmetic packaging to smartphones, headphones and sneakers. 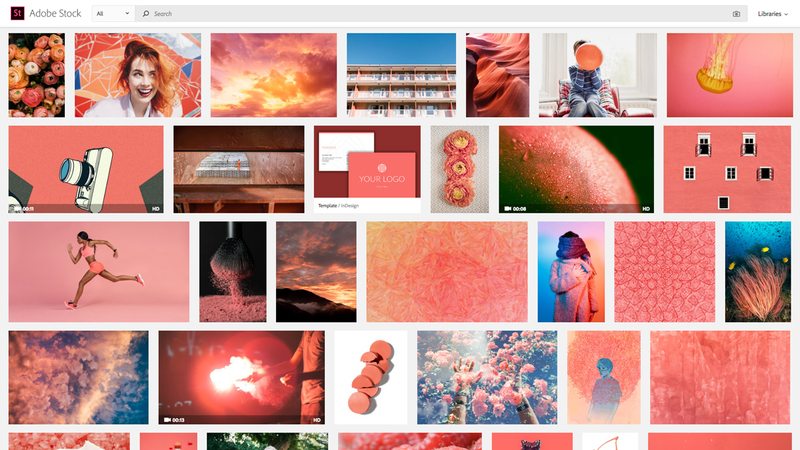 RELATED: What Is the Pantone Color of the Year and Why Is It Important? Designers are not letting go of the 80s or 90s influence in their work. And who doesn’t love a good neon sign to communicate a bold message? No wonder this trend is on the rise in 2019. In an over-saturated environment, the battle for attention is getting more and more fierce, so designers and artists have to find new ways to get noticed. This design trend is all about creating a glowing, futuristic light where you wouldn’t expect it to be. 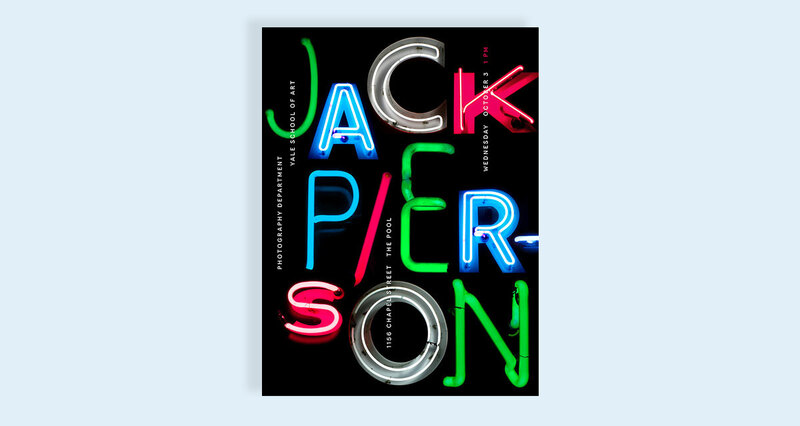 Of course, we’ve already seen this in home design, but in 2019, neon typography is also being used on more traditional canvases such as book covers. 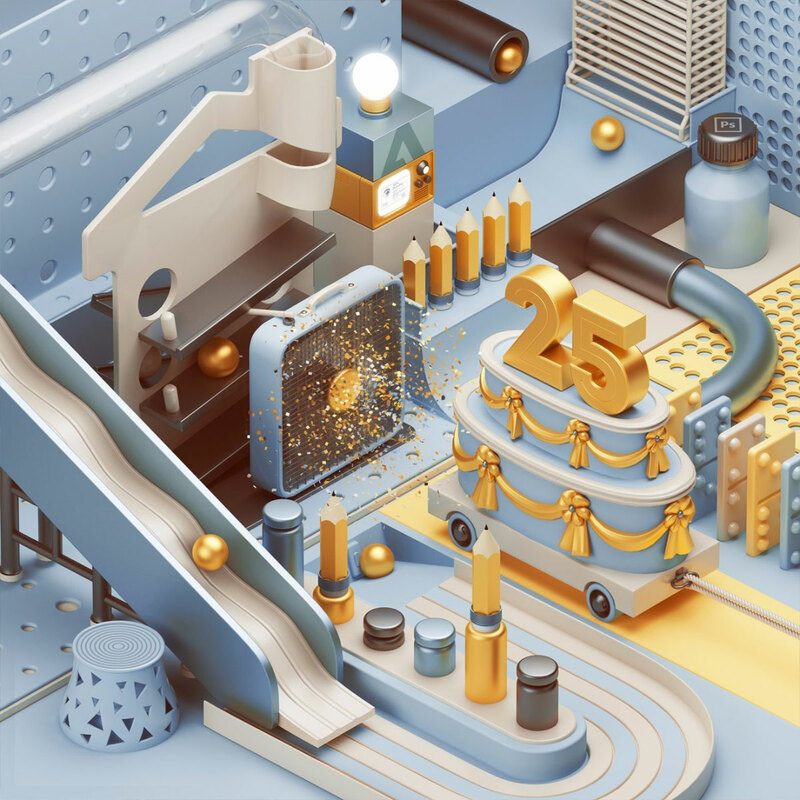 Talking about fun design trends of 2019, 3D typography seems to be everywhere lately. 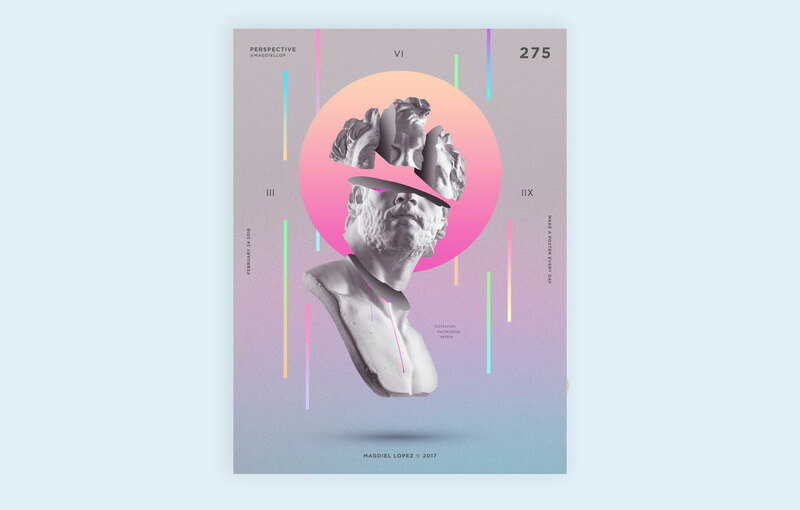 These compositions seem to jump right off the page, making it almost impossible to look away. Here are a few brands who have already embraced this trend in their designs. When it comes to 3D typography in 2019, the cherry on top of the cake is clearly 3D food typography. 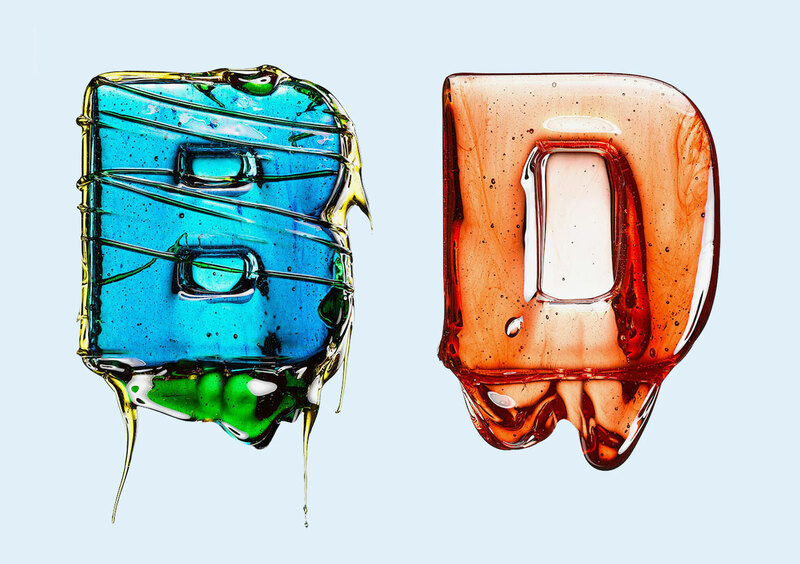 Playful fonts that imitate food are a great way to incorporate 3D technology into your designs to give it a savory look. The more colors, the merrier! The whole spectrum of the rainbow is the perfect playground for all brave designers in 2019. And this year, playing with bright colors is done through geometry. 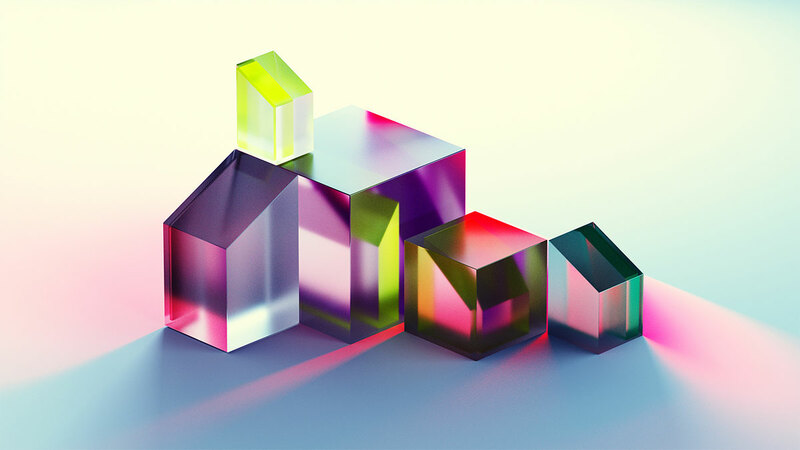 Prism as a design trend is all about bold, dazzling rainbows that showcase the power of colors as a design tool. 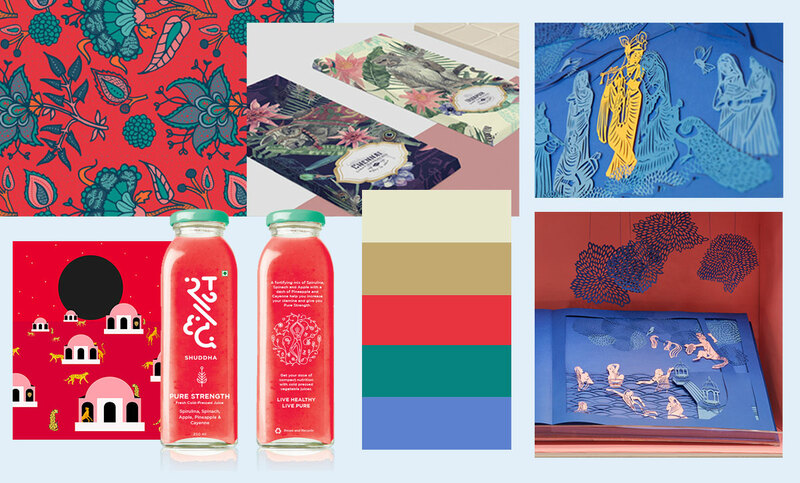 But as creative as this trend may seem, designers need to pay attention to carefully create harmonious compositions when working with a multitude of colors. 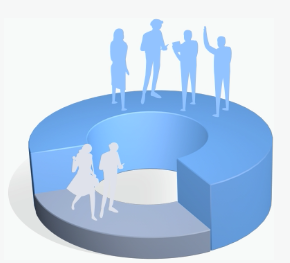 Did you know that 43% of consumers say that a brand’s values may drive purchase intention? It’s all about relevant content and visuals in 2019. Speaking to individual clients should be every brand’s main objective. In order to stand out on social media, try out new, creative methods that inspire consumers to stop and engage. So when we see brands and influencers taking stands on political, gender equality or cultural issues, it’s a sign that in 2019, all brands should have a unique tone of voice. Using bold, brave and creative visuals will help brands communicate meaningful, more impactful messages and leave long-lasting impressions. The biggest challenge for brands in 2019 is to take a stand, while remaining authentic at the same time. Collages have been around for centuries, but it wasn’t until the 20th century that the art of the collage was made popular by Pablo Picasso. 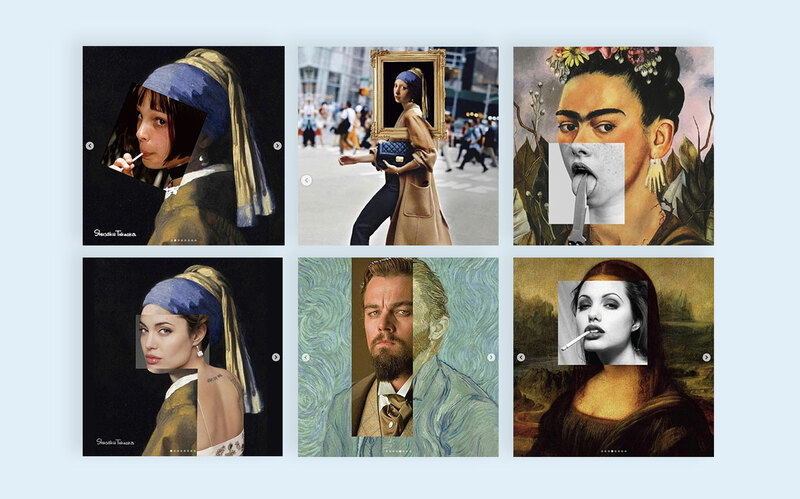 Today, in 2019, modern-day collages inspired by art paintings are making a strong comeback. Many artists have taken to Instagram to share their collage art with other industry members. 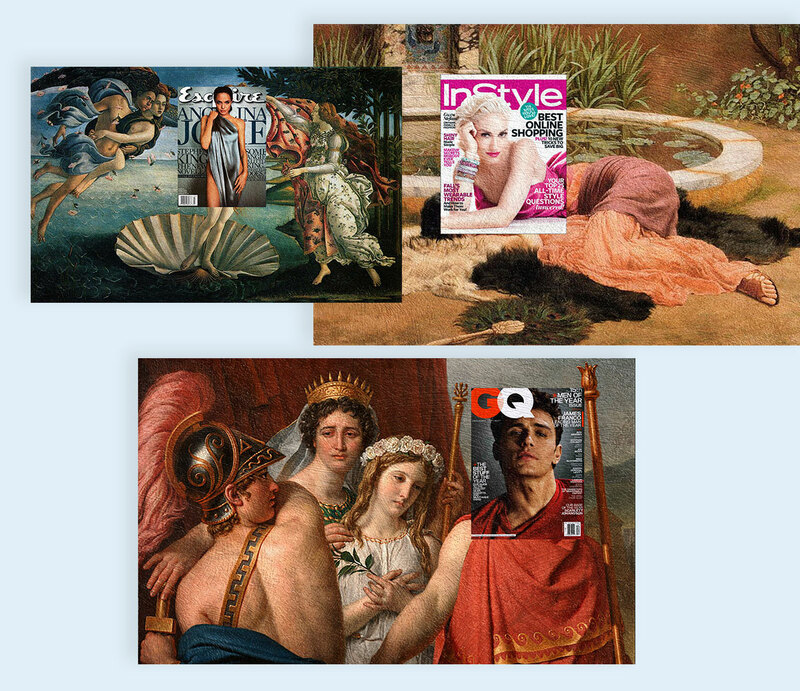 Some of them use classical works of art and give it a satirical twist. So, if you’re looking for new ways to engage with your target audience, you may want to make use of the art of the collage. With all the do-it-yourself, digital tools available today, it’s so easy to combine different images, textures, typography and other elements to create stunning collages. This year, people will start to consciously seek balance through nature, as technology’s impact over our hectic lives becomes more powerful than ever. Designers are focusing a lot more on visual elements and images with natural elements and messages of spiritual wellness. Indian culture is known for highlighting nature and spiritual well-being. Through its rituals, traditional practices, religion and arts, Indians have always lived in harmony with nature. The art of Kalamkari is one of the biggest design trends of this year, as predicted by Shutterstock. It’s the art that combines complicated Indian patterns and motifs with natural colors like khaki or yellow mustard. What design trends do you predict will take the world by storm in the coming years? Share your thoughts with us in the comments section below. Adelina Noge is a content marketing strategist at Flipsnack. She’s also a caffeine fiend, proud Netflixian and music festival denizen.